Heat oven to 400°F. Generously grease 8x4-inch loaf pan (do not use dark-coated pan). In small shallow bowl, combine sugar and cinnamon; mix well. Separate dough into 10 biscuits; cut each into quarters. 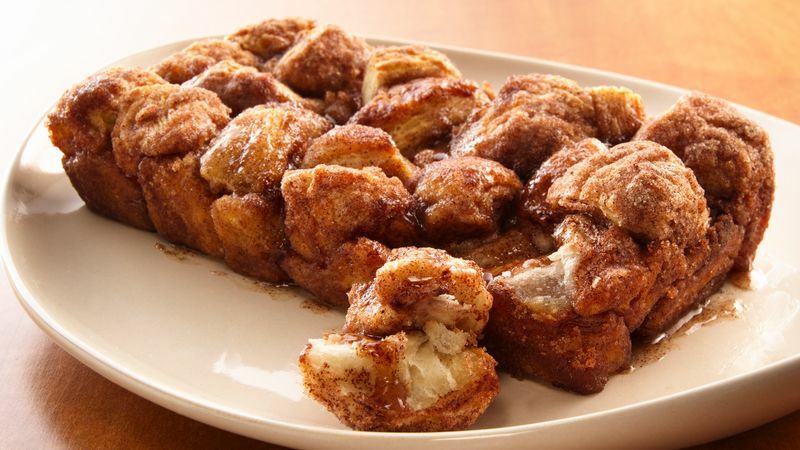 Dip each quarter into melted butter; roll in sugar-cinnamon mixture. Arrange in greased loaf pan. Bake 19 to 25 minutes or until deep golden brown and center is baked through. Cool 2 minutes. Loosen edges; remove from pan. Place on serving plate. Serve warm. Craving bakery coffee cake but want to skip the trip to the cafe and high cost that comes with it? 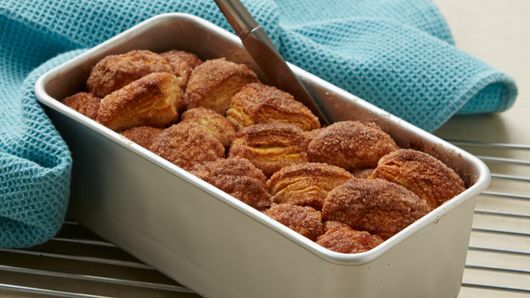 Four ingredients, three steps, and less than an hour is all that stands between you and the aroma of cinnamon sugar pull apart bread filling your home. This easy recipe turns buttermilk biscuits into an unforgettable breakfast that even the kids can help with. 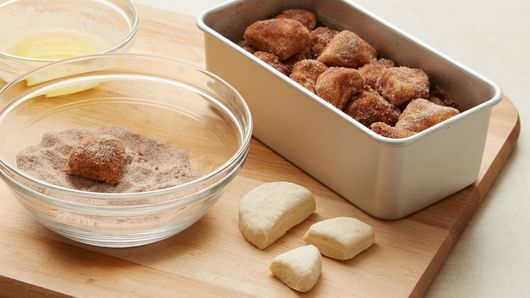 Little hands that like to get messy are perfect for assisting with rolling biscuit pieces in cinnamon and sugar. Use a light coated pan to ensure you get the perfectly brown color with no burning. Need more bakery-style inspiration? Our collection of quick and easy breads and muffins are full of other delicious options for the perfect weekend morning.